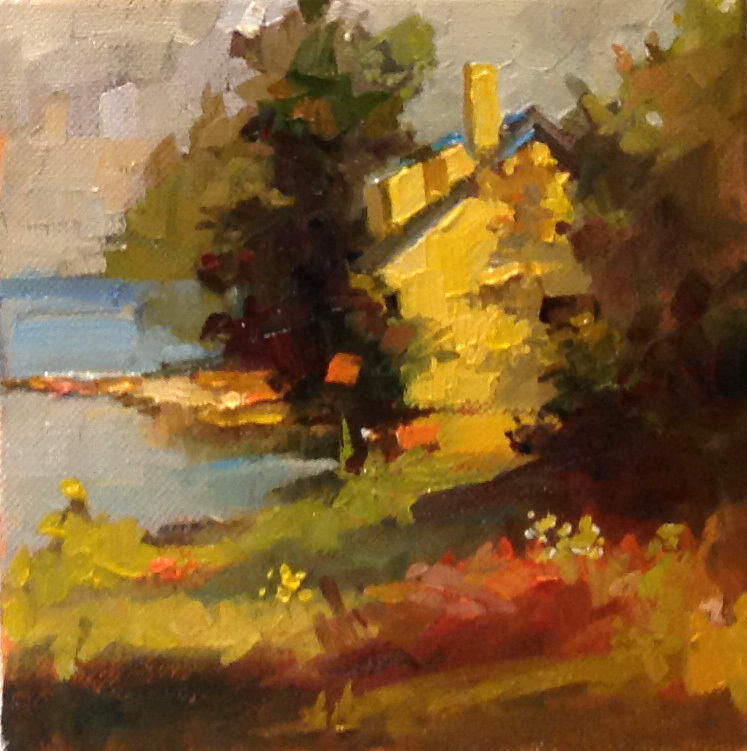 Maine Cottage o/c 6" x 6"
Aline received her BFA at Cornell University, and continued her training at the Academy of Art College in San Francisco, earning a degree in Illustration. Aline is a Master Pastelist with the Pastel Society of America, a Signature Member of the American Impressionist Society and a Master Circle Pastelist with the International Association of Pastel Societies (IAPS). She has juried the Pastel Society of America's National Juried show; The Pastel Journal's Top 100 Animal and Wildlife Competition, the Pastel Society of New Mexico's Annual Juried Show and the Adirondack Plein Air Festival Awards.